The winding driveway leads you to your own private oasis. 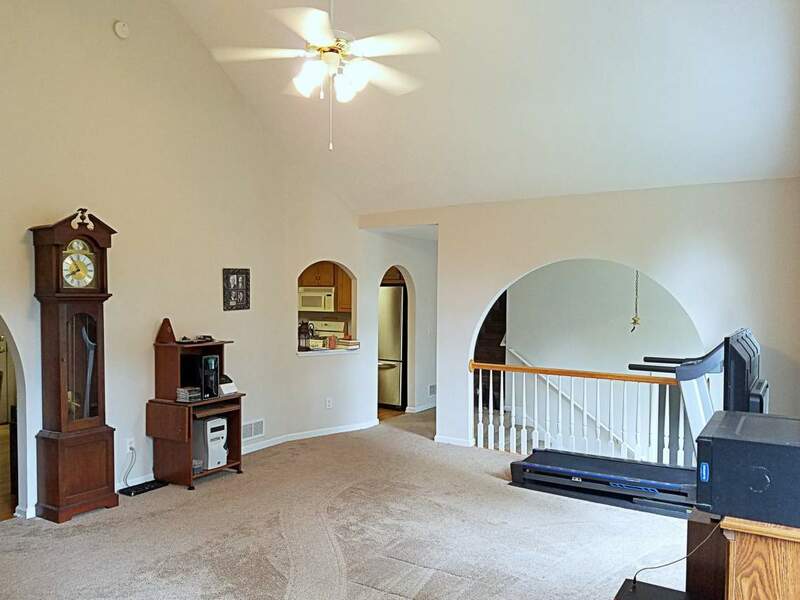 The fireside family room wows with soaring vaulted ceilings. 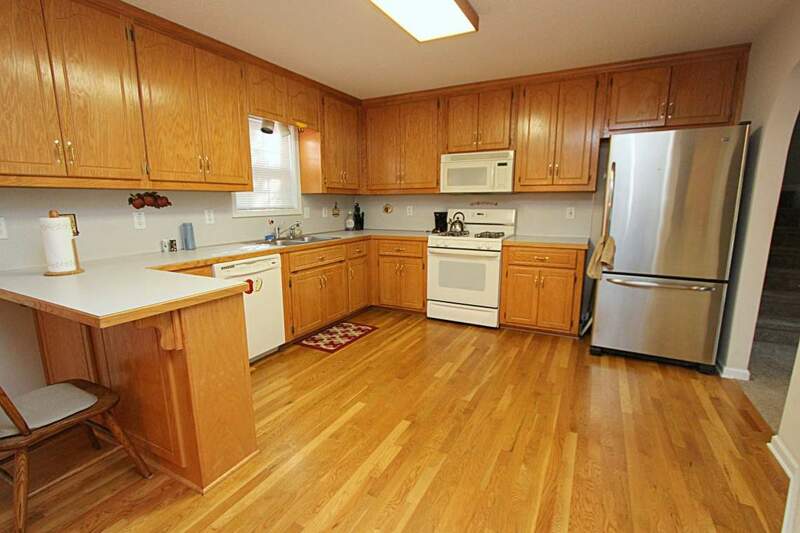 Create memories in the open concept, eat-in kitchen featuring a gas range, breakfast bar & lots of cabinets for storage. 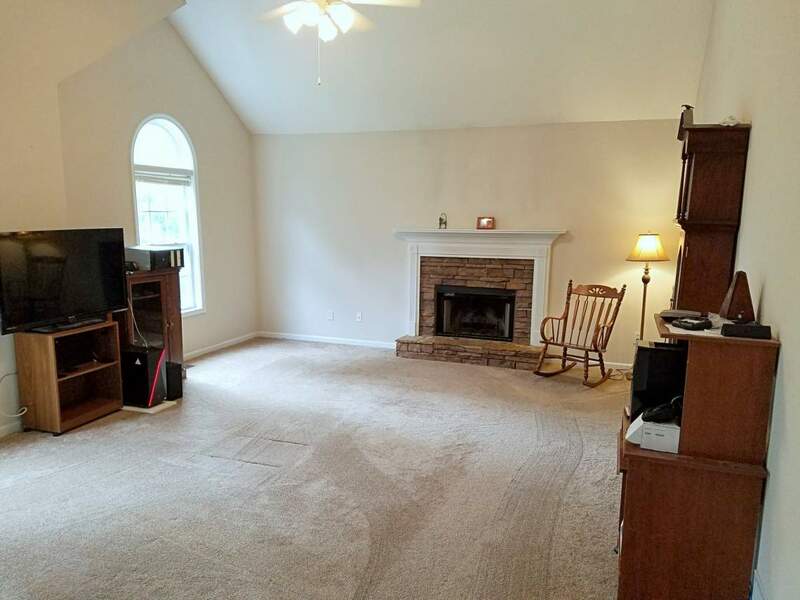 Both the kitchen & dining room boast rich stained hardwood floors while newer plush carpeting flows throughout the rest of the home. The relaxing master retreat has a trey ceiling and ensuite spa bath w/ dual vanities, garden tub & separate shower. 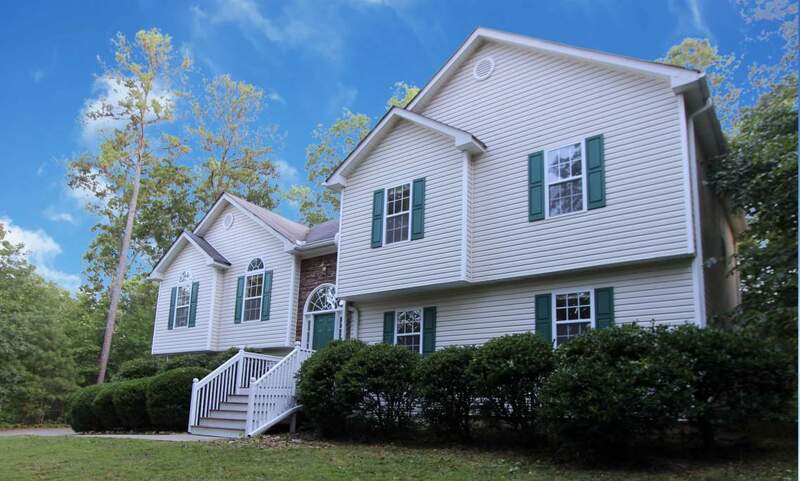 Two more spacious bedrooms and full baths complete the upstairs The professionally finished terrace level offers a 4th bedroom and another full bath. 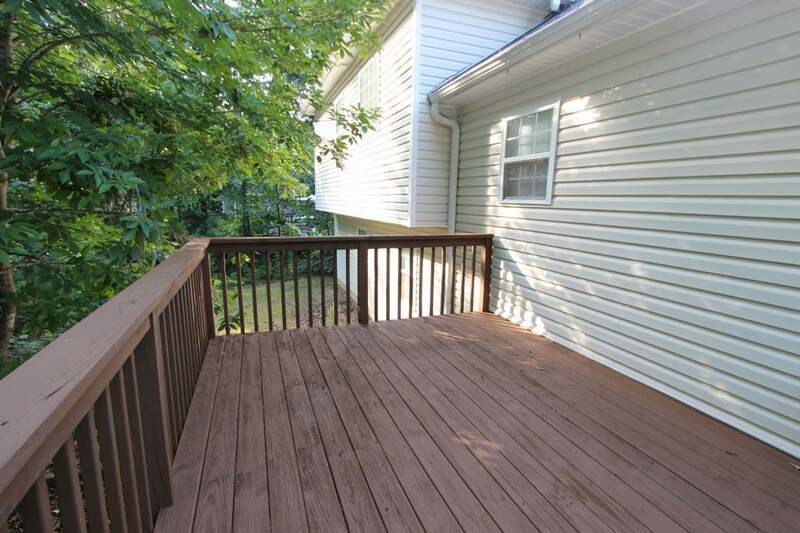 Freshly stained back deck offers complete privacy.